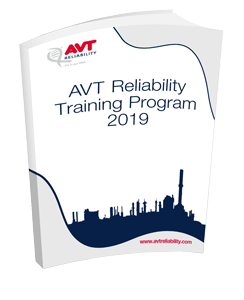 AVT Reliability® offer training covering all aspects of the Machine Sentry® condition monitoring solution and is designed to address technical and managerial needs from shop floor to boardroom. Machine Sentry® is a unique condition based maintenance (CBM) solution which integrates all condition monitoring techniques and watchkeeping data, enabling effective maintenance planning and management reporting. This 1 day course is designed for the operator of Machine Sentry® and in particular the data collection process which would include the uploading and downloading of the Machine Sentry® database to the hand held device. This 2 day course is designed for the full on system user from designer/operator to collection and analysis of Machine Sentry® data. It is aimed at those who will develop structured and detailed databases along with the inclusion of asset specific technical information.